Keep Our NHS Public is proud to announce that Professor Wendy Savage has been given the prestigious award for ‘Outstanding Contribution to health and healthcare in the UK’ at a ceremony held by the British Medical Journal on 10th of May. Wendy is a founder member and Honorary Life President of Keep Our NHS Public and we would all like to offer our sincere congratulations on her fantastic achievement. Since its foundation in 2005, KONP has achieved great things. Our organisation brings people of all walks of life together to campaign for our NHS and to oppose to cuts, closures and privatisation. It is a legacy to Professor Savage that, in combination with her significant medical legacy, she is also responsible for helping to protect the service we all cherish. Wendy Savage was born 12th April 1935 in South London and raised in Surrey. She was the first in her family to enter university, gaining a place at the prestigious Girton College, Cambridge where she excelled at sports. Professor Savage began her medical training at the London Hospital Medical College in 1957, choosing to specialise in obstetrics and gynaecology. Never one to shy away from a challenge, Wendy spent the first 15 years of her career working in America and Africa assisting women in difficult circumstances. In 1973 she went to New Zealand as a consultant having failed to be shortlisted for a Senior Registrar job for 2 years after obtaining the MRCOG. Application of modern reproductive health services in Gisborne led to a fall in the number of births and she was offered a position in Boston USA supporting women from poor and socially deprived backgrounds, however this appointment fell through so she returned to England. 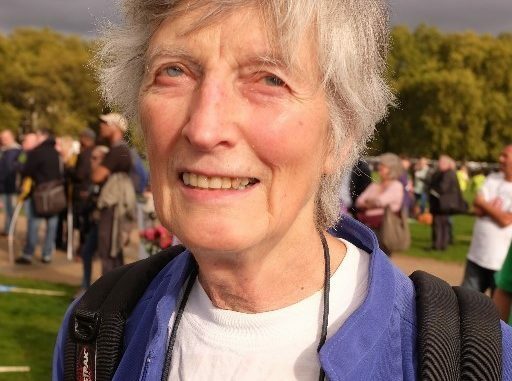 She worked as the lecturer to Peter Huntingford for 6 months and then successfully applied for the Senior Lecturer and Honorary Consultant post at the London Hospital Medical College. She was an advocate for women’s reproductive rights. I’ve always been determined – it was stupid to take on somebody like me. Publicity from the incident was significant and put Professor Savage on the map as a formidable woman, outstanding in her field. Wendy continued to work at the Mile End Hospital in obstetric services and had huge support from both local women and fellow doctors over the dispute. [Wendy] has achieved what she has by challenging the medical establishment. She will speak truth to power. To me she is heroic. She stood alone in the face of criticism where other people would have crumbled. Since Wendy’s appointment, far more women are now represented in the field of obstetrics and gynaecology and at age 83 Wendy shows no sign of taking it easy. Wendy was a member of the General Medical Council (GMC) for 16 years. She has recently been elected once again to the BMA Council (British Medical Association). Congratulations Professor Savage on your well-deserved award and thank you for helping to start an organisation we are all proud to belong to. Wendy is a total inspiration, on so many fronts; not least – and in keeping with the principles of universal, comprehensive access to safe and good healthcare in the NHS – in her campaigning for the rights of women to be able to choose and to access safe and good healthcare.